As an Enhanced Learning Credits (ELCAS) provider, Avensys UK Training Ltd, will work with you to choose the right training to enhance your future career in clinical engineering. Offering a portfolio of Nationally Accredited Technical and non-technical qualifications in medical and dental engineering. 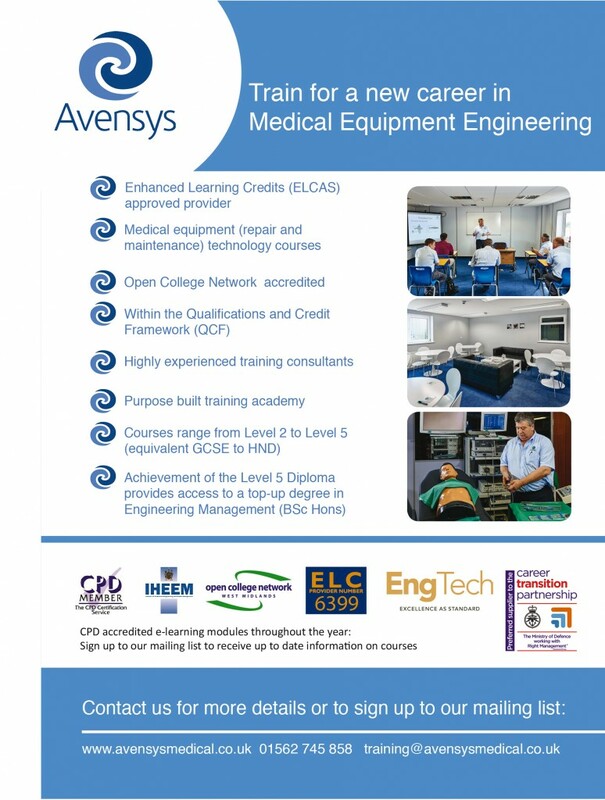 Benefiting from training consultants from Avensys UK Ltd, who are highly experienced ex MoD Royal Electrical and Mechanical Engineers, at the forefront of medical equipment engineering. Training programmes range from onsite courses at level 2 to distance learning level 5 course. Avensys provide medical equipment courses to cater to all levels and abilities. Level 2 to 3 courses are delivered over 1 to 10 days, covering both theory and practical work with medical devices, perfect for existing engineers or anyone wanting to refresh and enhance their skills. These take place in the training facility based in Kidderminster. The Level 5 Diploma in Medical Equipment Technologies is a distance learning course delivered over 18 months, covering both theoretical and practical modules. Online learning is coupled with a series of onsite lectures and assessments delivered at their Kidderminster facility. The Level 5 Diploma provides access to a University top up course for full award of a BSc(Hons) Engineering Management degree. Avensys UK Training Ltd are launching a level 3 apprenticeship course, during Autumn 2016. This is aimed at those already working in medical engineering departments enabling them to grow whilst working. Bespoke courses are also available, tailored to your needs and delivered when and where you need them. 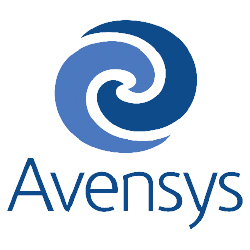 Avensys UK Ltd are growing at a fast pace, meaning there are a number of upcoming recruitment opportunities. Make your transition to civilian life and join our growing team of engineers, majority are highly experienced MoD Royal Electrical and Mechanical Engineers. Avensys UK Ltd believe in investing in their medical equipment engineers and continually offer relevant training by the in-house training academy.